Caroline Kinzer-Philipbar’s new book “The Winters’ Tale” is a heartfelt portrait of how the natural progression of life can both disappoint and exceed expectations. Recent release “The Winters’ Tale” from Page Publishing author Caroline Kinzer-Philipbar is the heartfelt and intimate story of a woman’s life as she embarks on the second act of her life, holding strong to her determination to not allow her changing circumstances and the shift in society to uproot her unshakable beliefs and expectations. Caroline Kinzer-Philipbar, an attorney and entrepreneur who was born to a literary family, has completed her new book “The Winters’ Tale”: the enthralling story of a woman whose love for her family serves as both her motivation and her reward as she steels herself for the challenges that the second half of her life confronts her with. Published by New York City-based Page Publishing, Caroline Kinzer-Philipbar’s tale introduces Constance ‘Connie’ Winters, a devoted wife to her second husband and mother to her grown son. The majority of her marriage to Robert Winters is a time of partaking in their shared interests, including an affinity for the work and ideals of John Keats. Sadly, even when all of life is balanced, time refuses to stand still and the trials that befall a woman in the more mature years of her life can serve to unravel even the strongest heroine. Connie refuses to give up on her character and expectations. Even when she is faced with the savagery of her husband’s illness, her heart breaks in her son’s choices, and what she considers a complete decline in society’s ideals in general, Connie strives to remain immutable. She must continue to move forward, even as her life’s own winter approaches. 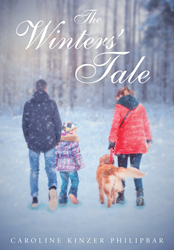 Readers who wish to experience this sentimental work can purchase “The Winters’ Tale” at bookstores everywhere, or online at the Apple iTunes store, Amazon, Google Play or Barnes and Noble.